Allow glucose to pass into cells, where it is used for energy. Suppress excess production of sugar in the liver and kidneys. Suppress breakdown of fat for energy. In the absence of insulin, blood sugar levels rise because muscle and fat cells aren't able to utilize glucose for energy. They signal the body that they're "hungry." The liver then releases glycogen, a form of stored glucose. This further increases the blood sugar level. When the blood sugar level rises above 180 mg/dl, glucose begins to spill into the urine. Large amounts of water are needed to dissolve the excess sugar, resulting in excessive thirst and urination. Without glucose for energy, the body begins to metabolize protein and fat. Fat metabolism results in the production of ketones in the liver. Ketones are excreted in the urine along with sodium bicarbonate, which results in a decrease in the pH of the blood. This condition is called acidosis. To correct the acidosis, the body begins a deep, labored respiration, called Kussmaul's respiration. Left unchecked, a person in this situation will fall into a coma and die. Why do I have to inject insulin? Insulin is a small protein which would be destroyed by the stomach’s acidic juices if taken orally. It has been used by an injection under the skin since its introduction in 1922. However, it could possibly be taken any other way which bypasses the digestive system, such as by inhalation into the lungs, inhalation through the nose, by a skin patch, or even as a rectal suppository. Currently, the only alternative way available on the U.S. market (for adults only, with study in children in progress) is the preparation of insulin which can be inhaled by mouth slated for absorption into blood stream through one’s lungs. There are companies working on oral insulin preparation but it’s uncertain when this might become available. 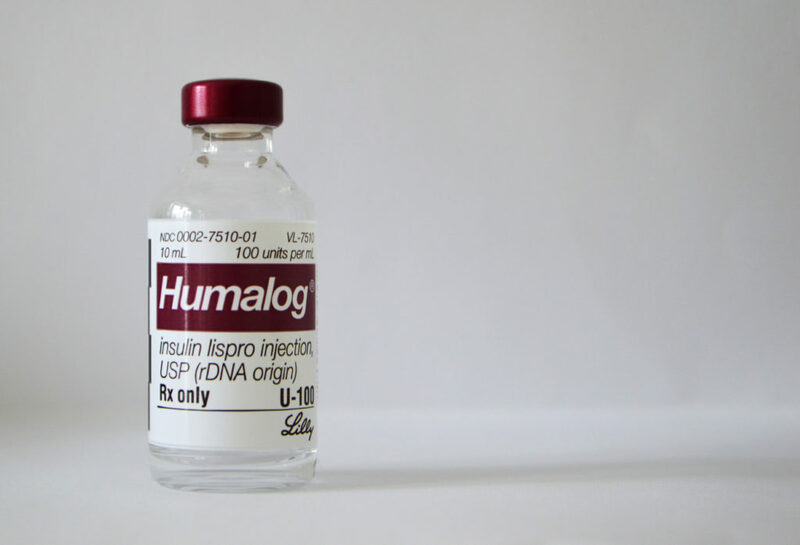 One company makes an insulin that can be inhaled instead of injected. Where should I store insulin? Unopened insulin vials or pens should be kept cool. Storing them in the refrigerator will help them last as long as possible. Never freeze insulin or expose it to extreme heat, however, as freezing can destroy it. Open insulin, whether vials or pens, should be kept at room temperature for a month or longer, depending on the brand of insulin. Insulin is classified according to how long the insulin works. There are several types of insulin, listed here in order of rate of action. Be aware that duration of insulin action varies by individual, activity level, and location of injection. Insulin Treatment In Type 1 Diabetes. Long-term Intervention Studies Using Insulin In Patients With Type 1 Diabetes. How Long Should Insulin Be Used Once a Vial Is Started? Avoiding Insulin Errors. Also available in PDF format. Insulin from Insulin-Dependent Diabetes in Children, Adolescents and Adults by Ragnar Hanas, M.D. The Protein Data Bank has a 3-D graphical view of an insulin molecule. Severe insulin resistance secondary to insulin antibodies: successful treatment with the immunosuppressant MMF. Understanding Insulin-Dependent Diabetes, 12th Edition by H. Peter Chase, MD. & David Maahs, MD, PhD, 2012. Management of Diabetes Mellitus: Perspectives of Care Across the Life Span edited by Debra Haire-Joshu, MSEd, MSN, PhD, RN., St. Louis, 1992, pp. 120-121.